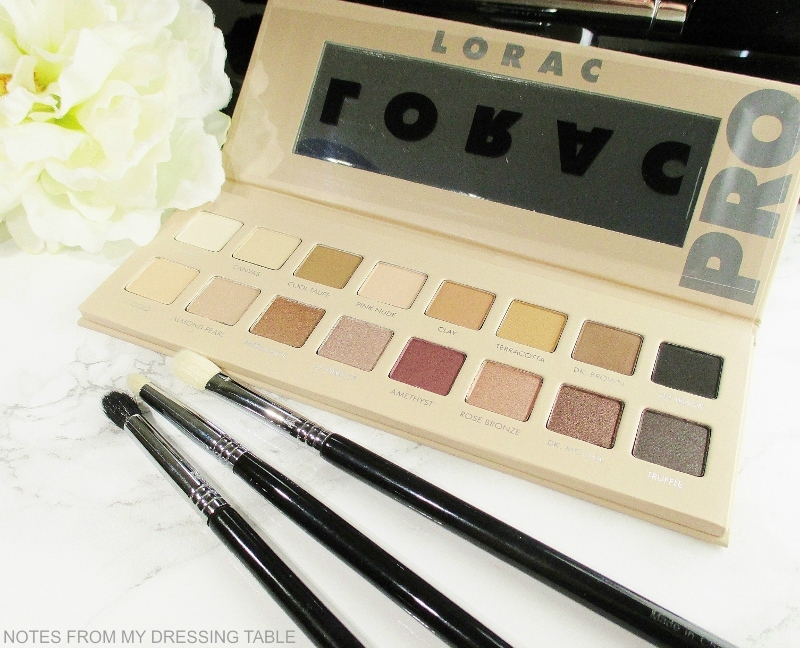 Lorac released another Pro eye shadow palette and I for one am enjoying it. The long, slim, slightly rubbery feeling paperboard palette is a light buff gold shade to evoke the soft shades, within. Below the slim, perfect for close ups on the eyes mirror are sixteen eye shadows in gentle neutral shades. 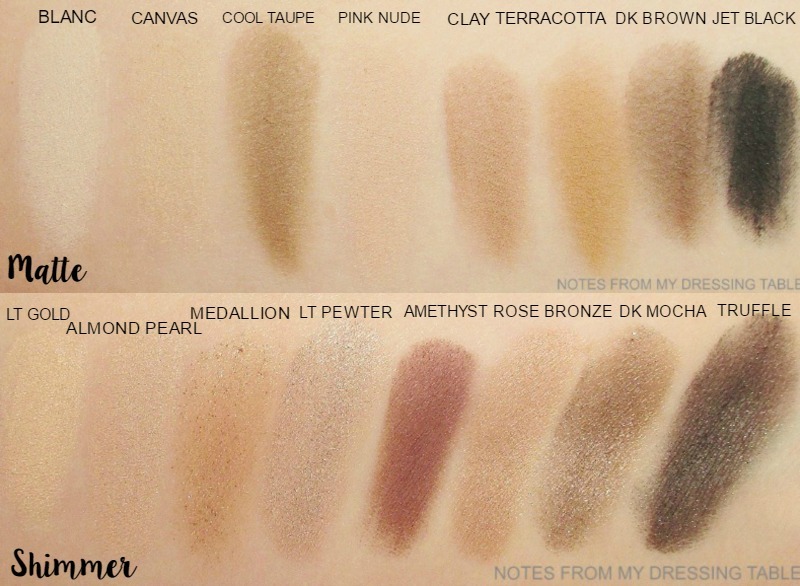 As with all Lorac Pro palettes, the top row is matte shades, the bottom, shimmers. The shadows are all laid out in a manner that makes sense and makes creating a beautiful eye look easy and intuitive. Here is a close up of the shadows. These soft, gentle, neutral shades are right up my street. I enjoy a good smoky eye and sometimes, I like to play with colour but the majority of my eye looks are neutral and well blended out, making this palette just the thing for me. Here are the swatches. (hangs head) of the sixteen shades in this palette. Overall, the quality of the shadows is on par for the Lorac Pro palettes. The mattes are soft, creamy and smooth. They tend to be powdery, but the pigmentation is very nice and they are easy to build and blend on the eye. The shimmers can be a little flaky but they are velvety and pleasant to work with and I don't have much trouble with fallout. Amethyst and Jet Black are not the best shadows in the bunch; they can be patchy and give a little trouble and honestly, I feel that a black shadow is out of place in this palette. Also, this is just from my personal point of view, I don't need purples in every palette, either. I feel as if makeup companies use purple as a crutch. Oh! We need another colour for this palette! What shall we do? Stick a purple in it. Who cares if it works with the other shades or is any good? Medallion is pretty and sparkly but it's sheer and a bit flaky. I need to be be sure to use a good primer under it to give it stick. I like to dip it up on my finger and pat it on to add a gentle sparkle to my lid. Did I need this palette? Do I ever need a palette? I enjoy acquiring Lorac Pro Palettes and I get good use out of this palette so I'm happy that I picked it up. If you are in to deep, intense or bright, colourful looks, this isn't going to be the palette for you. If you like soft, blended neutral eyes, grab this baby, I think that you'll really enjoy it. The Lorac Pro Palette 3 is available at Ulta Beauty and retails for $44.00. Don't forget to use E-BATES to get cash back when you shop. 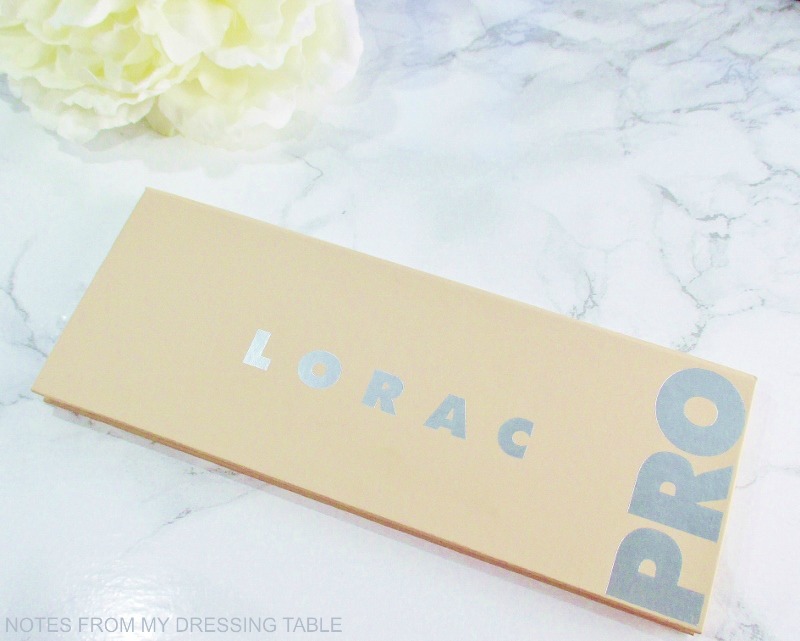 Are you a fan of the Lorac Pro 3? Do you also have a crazy compulsion to get all of the Pro Palettes! for yourself? The next Holiday Mega Pro will be released soon. I'm planning to snag it. How about you?